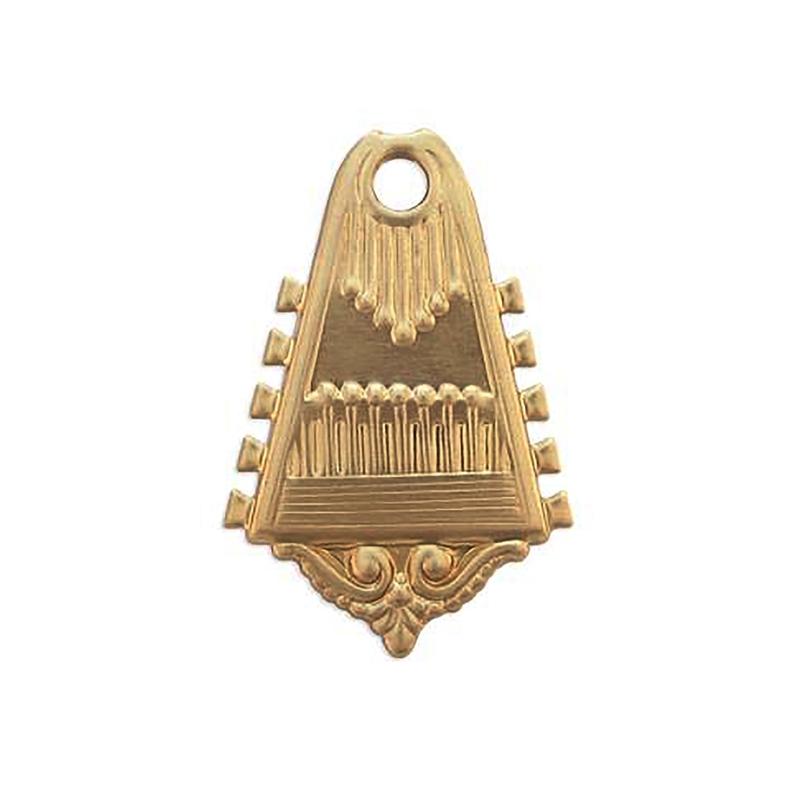 Art Deco pendant drop, raw brass, unplated brass, Art Deco, US made. Measures 37 x 25mm. Perfect for earrings. Could easily be colorized! Sold by the piece.